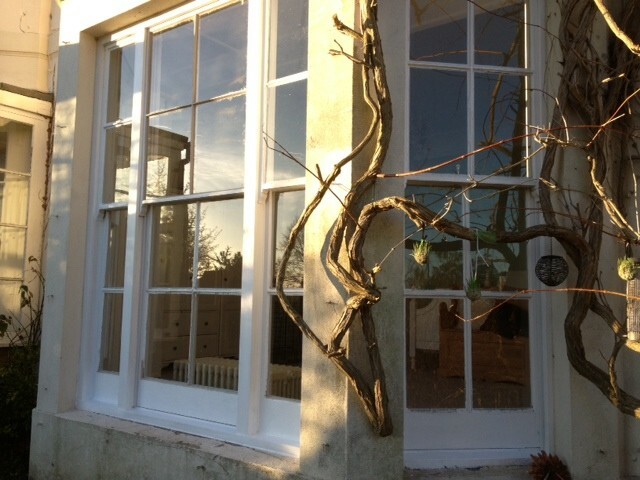 Mr and Mrs Roberts from West Sussex came to us having relocated from the North. 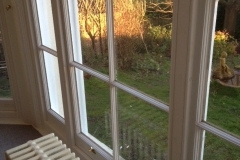 They had purchased the middle section of a particularly large house, which retained many of the original period features. 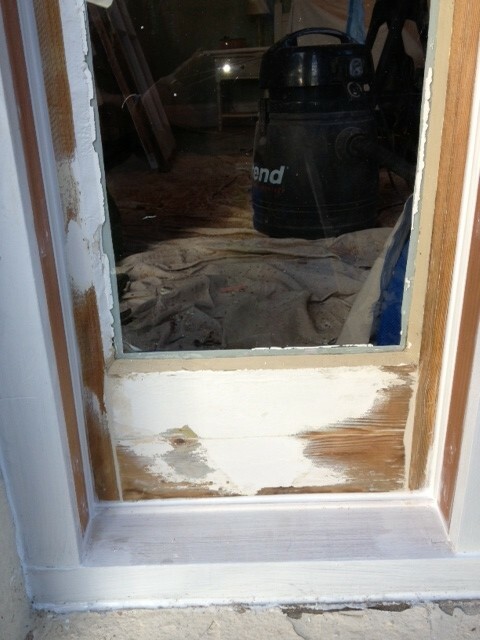 Unfortunately one of the bay windows had large areas of rot that had been badly filled and painted over. 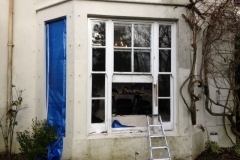 Our surveyor was invited along to ascertain exactly how much of the original bay windows could be saved and how much new joinery would need to be reproduced by our joiners in the workshop. 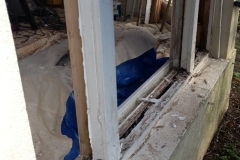 The surveyors report included detailed measurements of some new hardwood sashes, cills and linings that would be required for the complete renovation of this triple bay window. 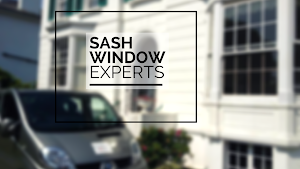 Once given the go ahead from the client our joiners set about replicating the existing moulding details of the original sash windows. 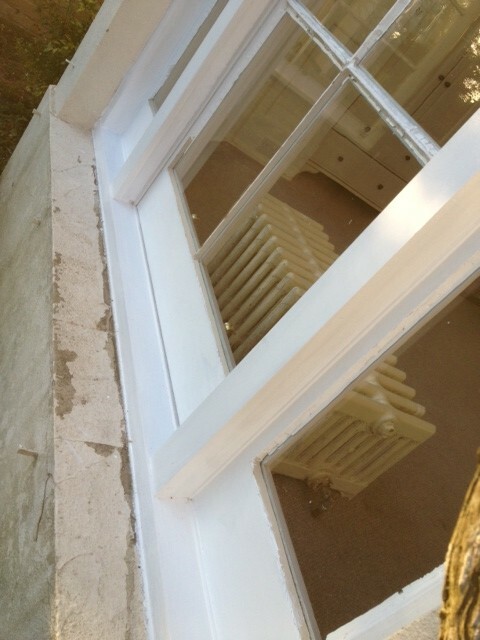 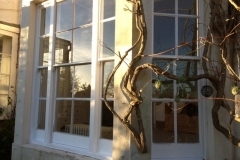 Upon completion, all of the new joinery was primed and undercoated and the sashes had toughened safety glass fitted. 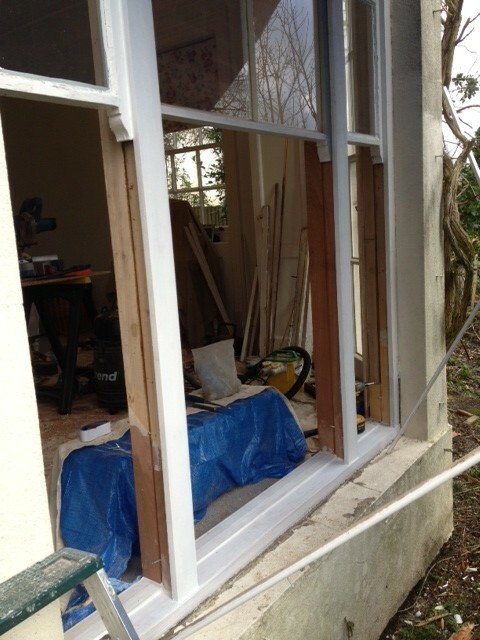 The next step was for our skilled carpenters to return to site and begin the renovation works on the bay windows. 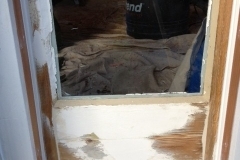 The room was fully dust sheeted and a tarpaulin put up on the outside as a precautionary measure from the poor weather. 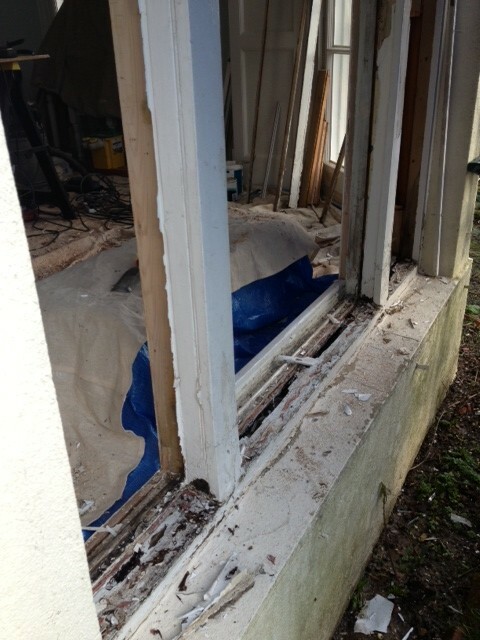 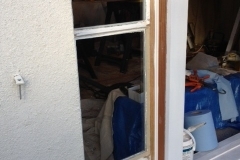 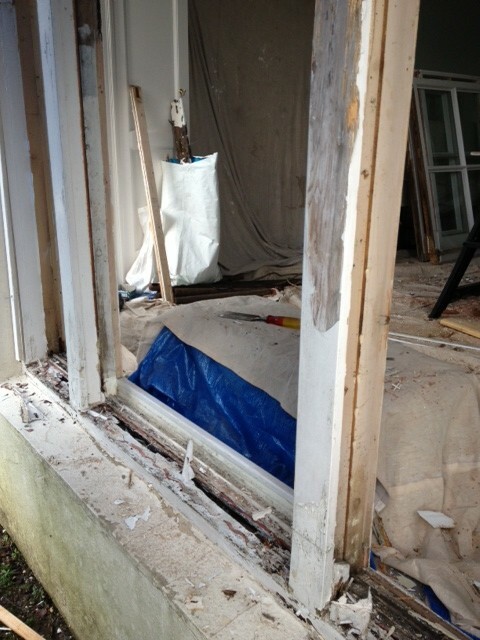 The bay window was then carefully dismantled by cutting out all the rotten vertical sections including the original cill section. 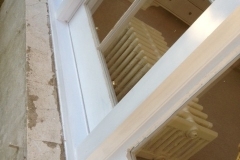 After checking that the brickwork is dry and intact we proceeded to fit the new hardwood cill and vertical sections. 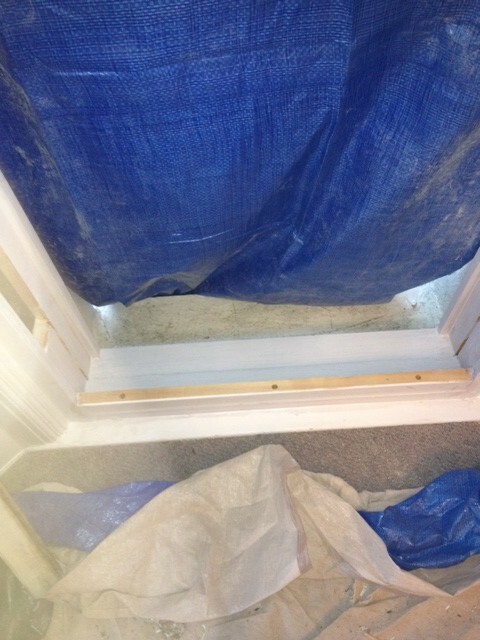 All of the joints between the timbers were bonded together with our epoxy resin to prevent cracking and water ingress. 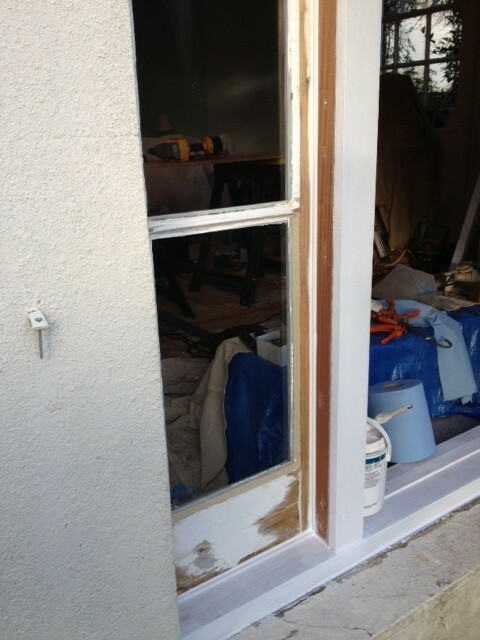 All the timbers were then fully sanded, primed and undercoated. 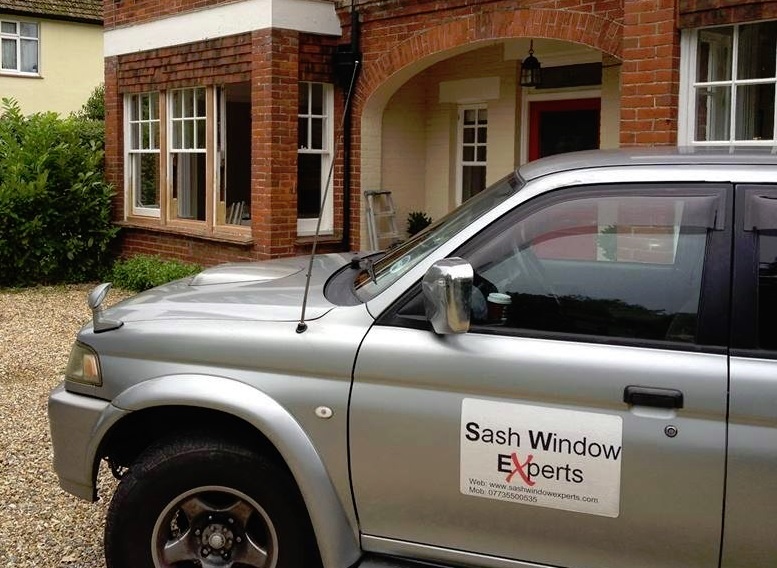 The new and existing sashes were then machined to fit neatly into the box frame and our discreet draught proofing system was carefully fitted to eradicate any draughts and allow the windows to open and close with ease. 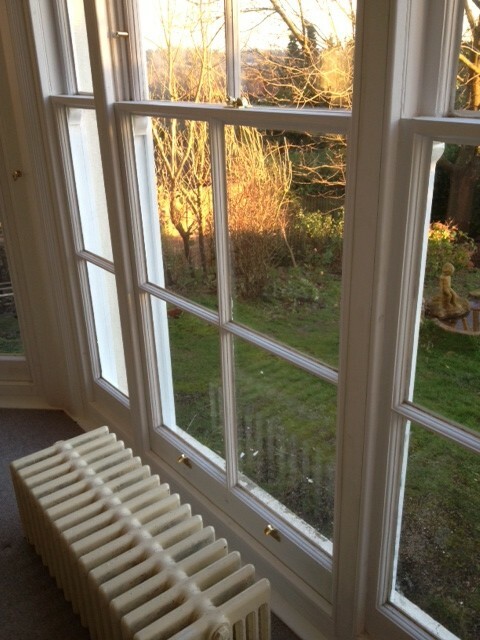 Some new brass centre catches, finger lifts and restrictor locks were fitted. 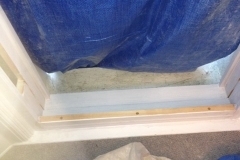 Finally the tools and dustsheets were removed and a final vacuum of the room was completed. 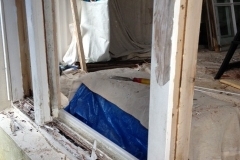 Our carpenters checked with the clients that they were completely satisfied with the renovation and all that was left to do was for the surveyor to contact the clients to confirm that they were happy. 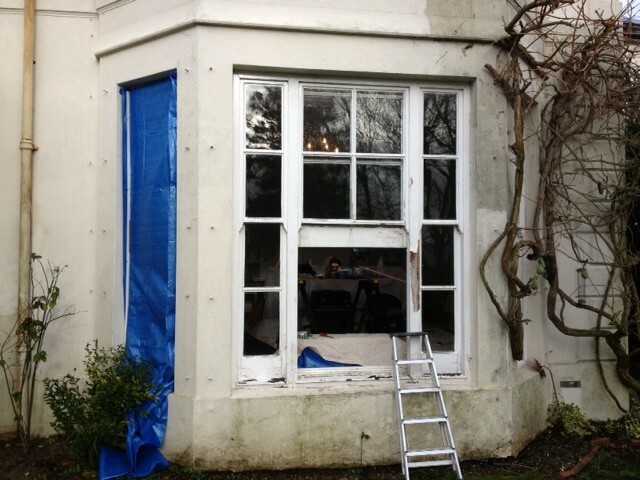 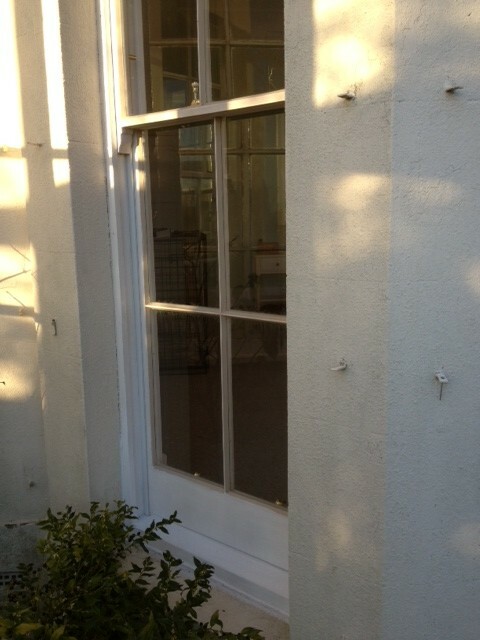 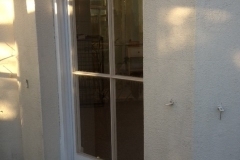 At which time they immediately placed an order to have the next few windows renovated as part of their ongoing project. 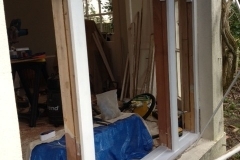 Contact our small team of highly skilled craftsmen on 0800 197 0129 or fill out the form on our Contact page and we’ll get back to you as soon as possible.